The team crossing the finish line. 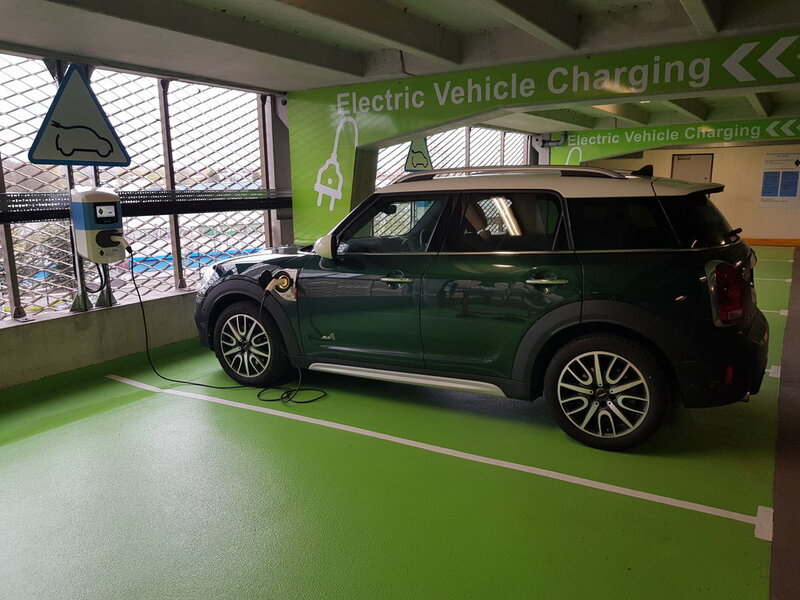 Last Friday a group from Peel Energy joined over 500 people in taking part in MediaCityUK’s Urban Challenge. 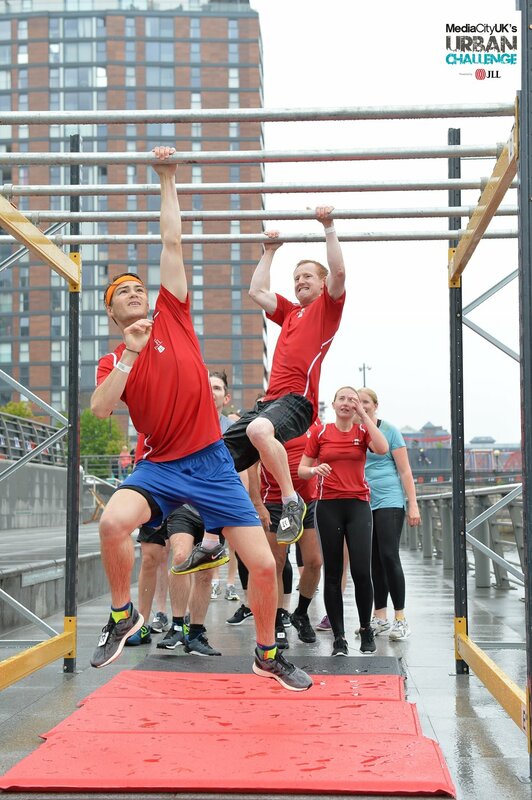 The challenge was set around a 6km assault course in Salford Quays and included a fair amount of grueling obstacles. The team managed to navigate through a sprint carrying sandbags, wooden hurdles, plastic pipes, monkey bars and a giant inflatable slide into the docks followed by a 100m meter swim. James and Fred on the monkey bars. The course finished with a 15ft wall climb, which was not for the faint of heart. A day that started in the rain, finished in the sun with the whole team making it across the line together and in one piece....just. It is safe to say that some of us are now proudly supporting some substantial bumps and bruises! Congratulations to the members of the team that took part and completed the course, and thank you to MediaCityUK and JLL for making the event happen. 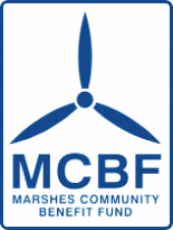 A new met mast is being erected at Frodsham Wind Farm but ironically, we can’t fit the instruments yet because it is too windy! Weather permitting the work should be complete by the end of next week (22 June 2018). 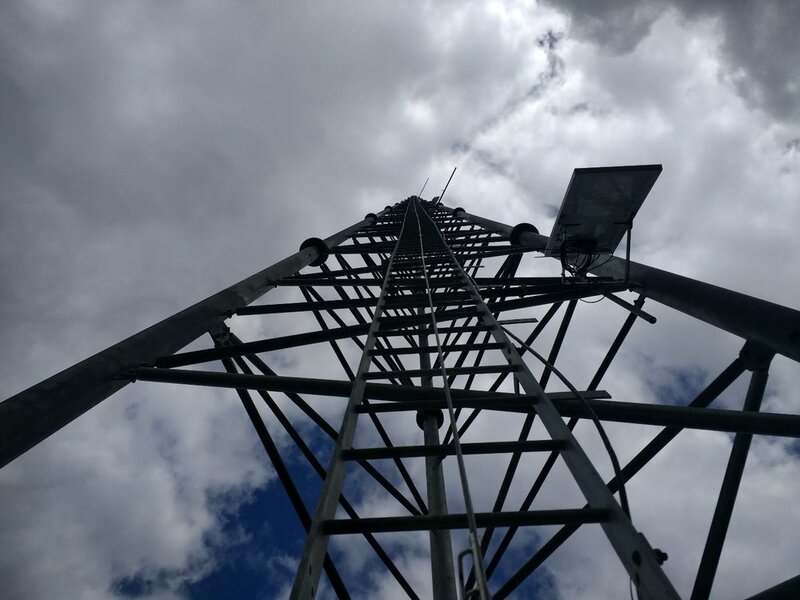 It might look like giant Meccano, but this met mast helps us calibrate the performance of our wind turbines by taking readings on wind speed, direction, rainfall, atmospheric pressure and temperature every 10 minutes of every day. We can then compare this data with that from individual wind turbines.